When you hear the word philanthropy, what comes to mind? A recent experience inspired me to drop the preconceived understanding of philanthropy and adopt a new one - I encourage you to change your way of thinking too. It is what Author, Stanford Teacher and Philanthropist, Laura Arrillaga-Andreessen calls Giving 2.0. Arillaga-Andreessen is on a fierce mission to inspire, educate and empower everyone to give – no matter who or how much they earn. Additionally her mission includes energizing tech titans of Silicon Valley to give now, while they’re living, so they cansee their money affect movements, instead of waiting until they die before giving their fortunes away. Her message isn’t exclusive, or complicated. She suggests everyone, from every walk of life give what they can, whether it be in the form of funding, volunteering or networking. "We need to give in a meaningful way that matters! One in six Americans live in poverty," Arillaga-Andreessen explained. "One in eight Americans received food help last year. You do not need mega bucks to have mega impact." I’m so grateful to my friend and GIG Board Member, Connie Chan-Wang, who invited me to the Asian Americans/Pacific Islanders in Philanthropy (AAPIP) event at Linkedin yesterday where Arrillaga-Andreessen shared her message about giving. This resonated with me, as I too found my calling after my father, aunt and both grandmothers passed away in just under one year. In 2001, my father was diagnosed with stomach cancer. Doctors gave him six months to live. I was a fledgling TV Reporter at the ABC Affiliate in Wausau, Wisconsin when I got the call. I packed my little Honda Civic and moved back to Sacramento to take care of my father. Many hospital visits ensued. I can still hear the horrifying cries of pain. The memories of shoving morphine down his throat haunted me after his passing. It was an agonizing and exhausting long six months. Unfortunately, the doctor’s were right. Dad passed away six months after the diagnosis. Shortly after his death, my aunt and two grandmothers passed away. This was the true test of the human spirit. Four deaths in eight months was too much to bear. During the healing process, I became obsessed. Obsessed by the thought that we are not immortal, that we have to do something with our lives while breath still runs through us. That is what planted the seed to what is now Go Inspire Go. What I know to be true is that when you give, you experience true joy. And you don’t need anymore than what you have – to give. Arrillaga-Andreessen agrees and believes, “You have enough! You have everything you need right now, to be an extraordinary philanthropist.” Not convinced? Meet Phoebe, Jorge and the people of Tent City Sacramento. What I love most about GIG is that I get the opportunity to meet philanthropists from all walks of life. Phoebe Russell, the youngest philanthropist I’ve ever met, saw hungry homeless people. It made her sad. She wanted to start an aluminum can drive to collect $1,000 to give to the San Francisco Food Bank. She raised $3,736.30, enabling the Food Bank to give 18,000 meals. Thanks to Phoebe, more than 150,000 meals have been served in her local community. During the height of the down economy, I spent the day with several homeless families who set up a tent encampment, “Tent City,” along the American River in my hometown Sacramento, California. What surprised me most was that even though the homeless people didn’t have much, they shared blankets, bottled water and extra tents with other families. I was moved that Erika Duran, a teacher at Kennedy High and her students were inspired by the video and started a movement of their own to help the homeless. These are just a few examples of how “citizen-philanthropists” are using their power to help others. 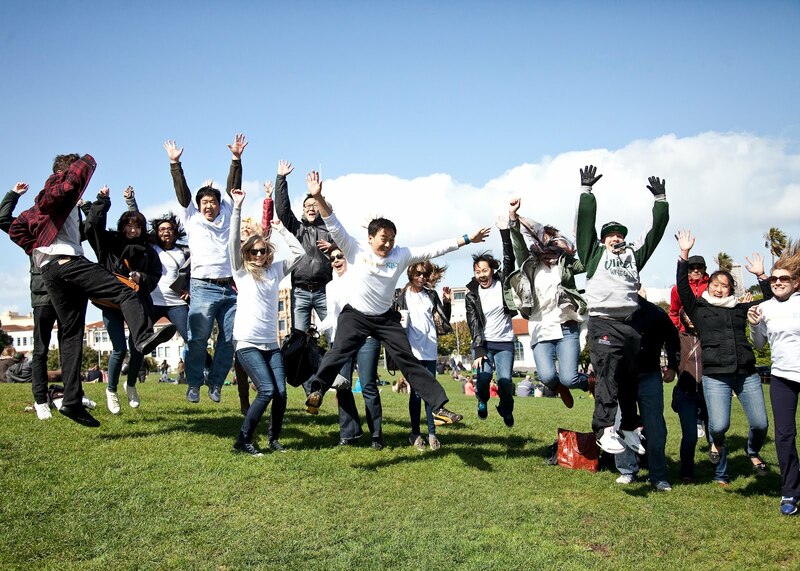 According to Arrillaga-Andreessen, in 2010 alone, 63 million Americans volunteered. In the U.S. alone, there was $234 billion in donations. My father had the biggest heart. He helped other immigrants file paperwork. As a mechanic, he fixed cars for free for the less fortunate. He always connected those in need with those who could lend a hand. He was a true philanthropist, who did a lot to help others through service. I believe he was one of the influencers in my life who inspired goodwill in me. When Arrillaga-Andreessen said that her Mother lives through her work now -- the epiphany sent chills throughout my body. I realized Dad’s deeds live on through me and my new GIG. Now I realize that you don’t need money to help others, you just need the heart. YOU can be more of a philanthropist – but how you give is up to you. What do you get when you gather social do-gooders, add creativity + community + conversation with a splash of social media? A Go Inspire Go (GIG) Photo Walk Flash Mob of course! 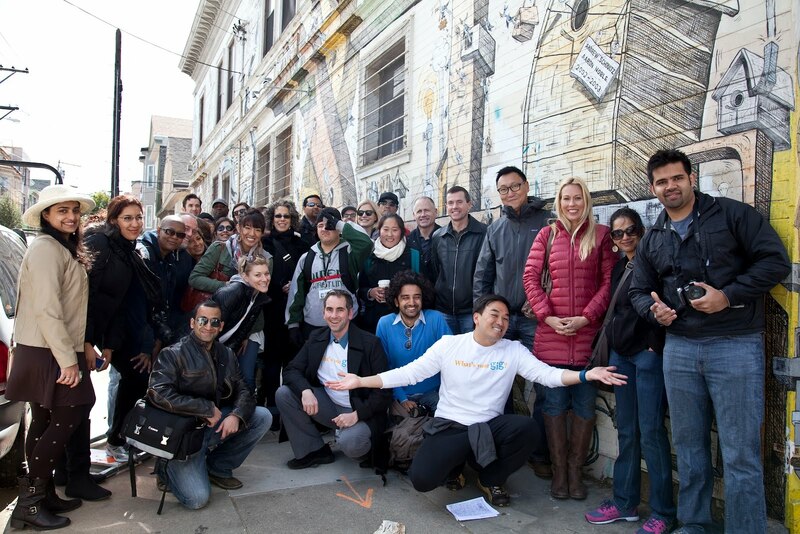 Yesterday afternoon’s event was a super fun, innovative way to take our cause offline (sort of off line) and onto the streets of San Francisco to unite current GIGSTERS and meet new ones. It was also the launch of GIG's global community challenge: "What's your GIG?" We want you to share your inspiring stories, videos and stories with us. The goal: to raise visibility about the inspiring images and stories in your life -- and magnify them on our platform for the world to see. GIG’s Elina Fahlgren used Meetup to organize the event. 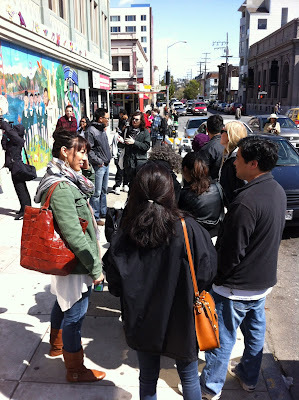 We started in the hip, historic and colorfully diverse Mission District, where after six days of rain, the dark clouds parted and the whole day was as warm and sunny as the new GIG connections. At 1 o’clock in the afternoon, the empty sidewalk started to fill up quickly with people from all walks of life – a cornucopia of creative participants, ready to meet, greet and hit the streets to take some pictures and spread GIG’s message. “We noticed people coming along -- all kinds of people, young, old, all different ethnicites. Just got us curious.” Linnea Larson said enthusiastically about our growing crowd of 39+ people. So naturally, we invited her and her plus one to join us. We zig-zagged about 20 blocks, stopping to play paparazzi on the Mission District’s vibrant urban canvas: murals, superhero cartoons spotted, shared and liked. It was great to learn more about new friends like Siddhartha Joshi and Jagdish Chaturvedi, who are currently at Stanford doing a fellowship on Biodesign, looking at designing medical devices which could provide affordable healthcare solutions to the masses. Siddhartha is also an avid photographer and blogger. Jagdish does stand up comedy and theatre as well. WOW. The stories are as endless as the pictures that are trickling in – fun to see inspiration through their lens. Check out our collective photo album! Some familiar faces also showed us some love during our walk. Dr. Ron Holt, a San Francisco psychaitrist who uses his power to inspire equality joined us. Also, Donald Cooper from Hands on Bay Area snapped some photos, walked and shared what he learned from this sidewalk sojourn. “I think this is great! There are so many things around us that are images that inspire us… if we keep our eyes open, we could catch them and they would really feed our soul.” Check out GIG's HOBA video. GIGSTERS who couldn't join us gave us some virtual love. 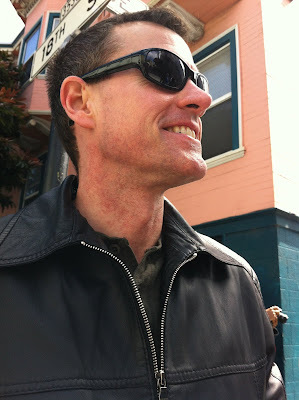 We ended in Dolores Park and snapped this photo. Yes we were jumping for joy! 1. Being present. 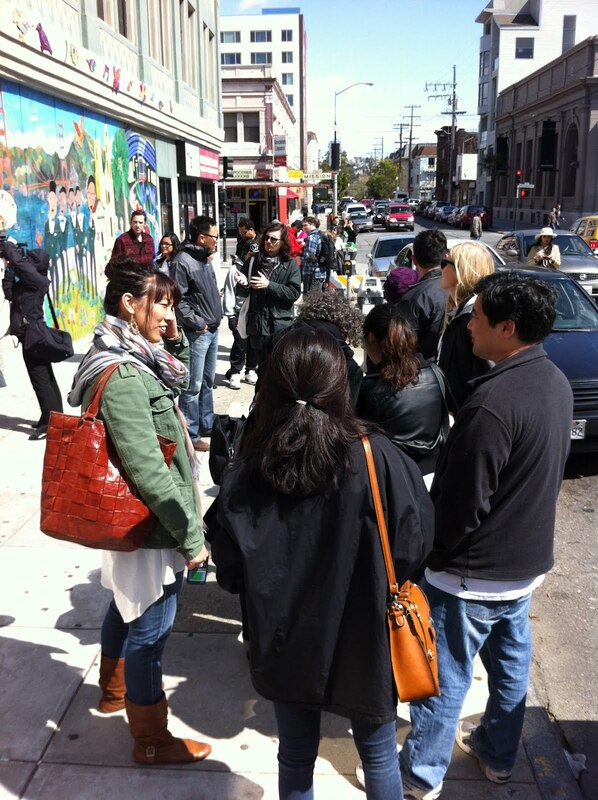 Me and many of my team members have worked and played throughout the Mission District for 10+ years. This time was different, as I noticed things that I would overlook because I wasn’t present and didn’t see things like the cartoon mural, the powerful images on The Women's Building and the architecture both new and old. 2. This was an interesting experience in using an online/social media medium to connect in person since our GIG team works remotely online most of the time. It was fantastic to meet new supporters and ultimately spread the GIG message and share inspiration. We also have some new volunteers who were inspired to “use their power to help others”! 3. Much like the marvelous sights and sounds we experienced along the walk, we met such interesting people from all walks of life - from students to mediators to non-profiteers - and started new friendships. What are you doing to create inspiring memories for yourself and others? 1. Engage: What’s your GIG Challenge (We want you to share your inspiring pics, videos and story ideas. 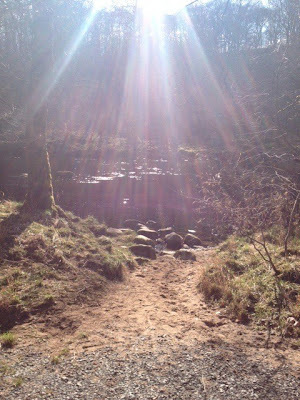 Inspiration is all around us. We just have to pay be present. *Special Thanks to my amazing board members and volunteers who used their power to pull this event together. 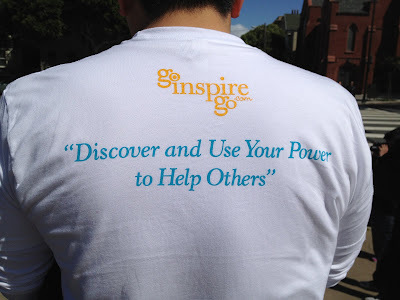 Go Inspire Go (GIG) is proud to present this month’s Social Good Spotlight, to raise awareness of individuals and organizations doing good in their communities in order to inspire others to take action and ultimately make real social change. GIG believes everyone can find inspiration in helping others, whether it’s through doing small acts of kindness or working at an organization dedicated to making a difference. If you know of an individual or organization that you think should be featured, please contact Marcia and help us forward their stories to inspire the world. 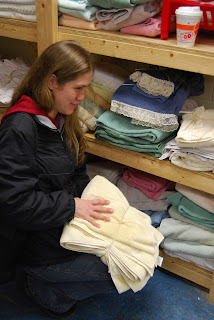 An HGRM client selects towels for her family. What is Household Goods Recycling of Massachusetts? Household Goods Recycling of Massachusetts (HGRM) is a nonprofit organization based in Acton, MA, that provides household goods to people in need. Volunteers receive, sort and distribute items to individuals and families from 130 communities in eastern Massachusetts. What is HGRM’s mission? What big changes is it trying to make? HGRM’s mission is to accept and distribute donated, recycled household goods free of charge to individuals and families who are facing hardships and need a break. Reusing household goods also benefits the environment. The latest facts and figures from the U.S. Environmental Protection Agency show that, on average, Americans generate 4.43 pounds of waste per person per day. Durable and non-durable goods (e.g., glass, plastics, wood, textiles, plastics) make up 41% of municipal solid waste (e.g., trash) and it is estimated that 55 percent to 65 percent of all municipal solid waste comes from residential locations. Working with more than 300 social service agencies, more than 3,000 families a year receive assistance to rebuild their homes and start their lives over. Providing home necessities such as towels, cooking utensils and lamps really helps people in need and/or dealing with crisis to get back on their feet. Diverting these still useful items from landfill to people who need them is good for society and Mother Earth. How is HGRM using its power to help others? The people served by HGRM have at least one thing in common — they need help during a difficult time. They come from communities in eastern Massachusetts, including many of the more affluent towns. • refugees and recent immigrants to the U.S.
Over the years, the need for HGRM’s services has grown exponentially. What has HGRM’s impact been? The numbers are astounding. In 2011 alone, HGRM distributed 36,477 large items as well as 14,235 boxes & bags of smaller items. This would not have been possible without HGRM’s 8,000+ donors, 600 volunteers and community partners assisting more than 260 families a month. What inspires HGRM to do this work? HGRM began out of the garage of Ira and Barbara Smith in 1990 when they helped a refugee family resettling nearby with nothing but a roof over their heads. 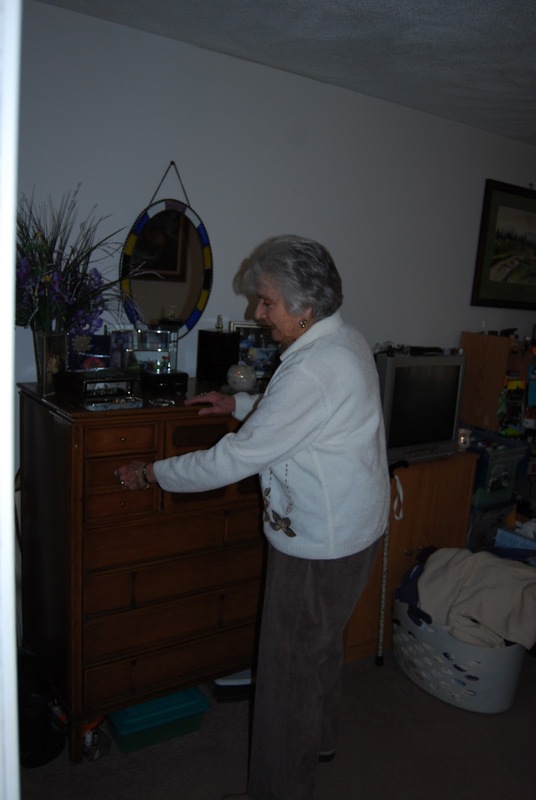 They realized that they and others were keeping useable furniture and household goods they no longer wanted but didn’t know what to do with, and had an idea. By sending out a call for help to neighbors and friends and designating their carport as a collection site for donations, they were able to collect enough items to furnish the refugee family’s home with goods left over. Word of the Smith’s collection site spread, and goods kept flowing in, growing to fill other garages, a church basement, and even a barn. News of their efforts reached people trying to get help for victims of fire or flood, families emerging from homelessness, struggling war veterans, and mothers with small children fleeing abuse. Today, Barbara and Ira, at 81, have attracted loyal volunteers who run a collection and distribution center with 14,000 square feet of space in Acton, MA. The founders continue to be deeply involved with donors, clients, volunteers and everyday logistics of the operation. What is HGRM focusing on now? HGRM is a single, simple, ongoing project to collect gently used furniture and household goods and distribute it to people who need them. HGRM is planning an exciting event scheduled for April 29 to raise funds and community awareness. Friends and supporters will be looking for sponsors as they participate in a four hour indoor cycling event with lots of other fun activities planned. Details will be posted on www.HGRM.org soon. How can GIGSTERS get involved and support HGRM? • HGRM is always looking for volunteers and donations (household goods and monetary). • Donations from large volume suppliers of household goods - HGRM is actively seeking large volume suppliers of furniture, towels, bedding, pots and pans, and kitchen items. HGRM is looking to maintain a steady supply of items through the predictable ebb and flow of the donations cycle. It just takes one good lead to change so many lives! Please visit HGRM’s websitefor more information on how you can help their cause. As a successful Artist Manager/Music Consultant from England, Natalie Pryce has worked with many entertainment industry stars- Prince, Beyonce and Kelly Rowland, Taio Cruz and newcomer Loick Essien - to name a few. However, it’s not just these high notes in her professional career that enlivens her. Her personal mission and passion to create a SAFE place for youth to create music and harmony in their lives and community is her familiar tune. Natalie shares how a chance meeting with a stranger, Father Andrew Stringfellow, on a train in the UK, inspired her life’s passion to be elevated and transformed into something quite remarkable. Watch and find out how Natalie uses her power, connections and love for music to orchestrate a unique SAFE place for youth from all backgrounds together. Your day will end on a high note as you watch Father Andrew, local police and the community band together to give youth alternatives and structure to achieve their dreams. Their goal is to raise £20,000 ($31,692.00 US dollars) to create a music studio, take the group on tour and ultimately to spread the word on how communities orchestrate with the power of music and create safe havens for many Children around the world. My Dad said, “We all have music inside of us, don’t die with it inside of you – share it.” Figuratively he meant that we are all put in this world to share our music, our message and that we have a finite time to harmonize our soul and create an impact on humanity. Natalie, Father Andrew and their community embodies that melody. I hope it resonates with you and inspires you to be an “instrument” of action. What can you do to share your music with the world?